Sometimes looking at grief straight on is a difficult thing. I think the idea of objectivity is myth in the best of circumstance (because I don’t see how we can ever be anything but subject to our own culture, education, environ, etc), but when you throw grief in the mix, I think objectivity is downright impossible. We are subject to what has happened to us. 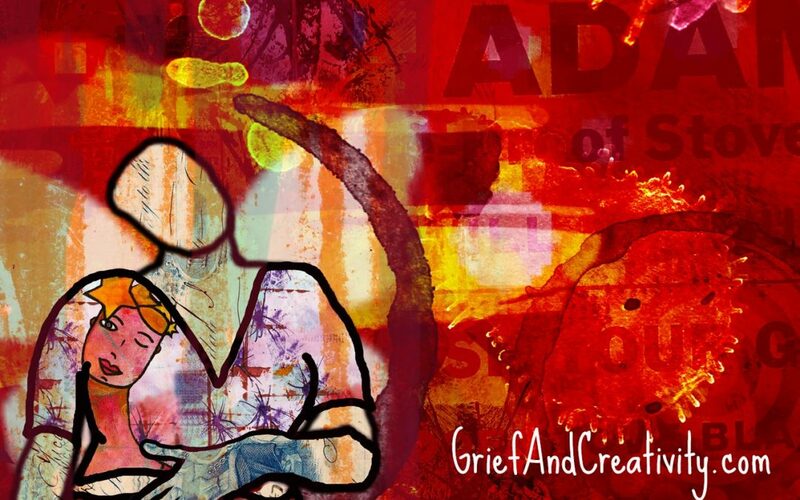 We are subject to our own personal beliefs about grief and concepts like healing or integration. We are subject to the impulses and (explicit or implicit) rules and measures of our environment like family of origin, spiritual support system, work place, geography, and more. With all that distortion, I think sometimes the best counter to it is more distortion in a way. When we can’t look at grief straight on anyway, why not crick your neck, tilt your head, and look at it all sideways? !